There are many causes for shoulder pain, most of which respond well to Osteopathy and Physiotherapy. For patients at Your Health Hub, there can be further benefit from a range of other treatments available including, (for example), Acupuncture and clinical Pilates. In most cases, the pain results from overuse or sports injuries, repetitive activities at home and at work, poor posture, and muscle tension. Less commonly, the cause can be heart disease or gall bladder problems requiring further investigation. Call us at Your Health Hub now, on 03 6122 0150, to book an appointment. Acromioclavicular joint problems: Patients report pain at the meeting point of the collarbone and scapula. Adhesive Capsulitis (Frozen Shoulder): A problem that comes on over time, often over many months; It causes a gradual stiffening of the joint so that the ability to use the arm normally can be severely limited. Osteoarthritis: This degenerative disease process wears away joint cartilage, causing the painful grating together of the bones of the joint. Referred pain: Pain experienced in the shoulder and upper arm but which originates from a problem elsewhere, usually in the upper back or neck. Rotator Cuff Injury: This causes pain in the shoulder and upper arm and is worse when using the arm, or laying on the affected side in bed. Shoulder Joint Instability: Excessive movement or dislocation of the joint. Shoulder pain is a problem that seems to get more common with age and up to 30% of adults may be suffering from it at any one time. The shoulder is a ball and socket joint that is in almost constant motion throughout the day, so it is not surprising that everyday wear and tear, overuse and injury, take their toll. Shoulder problems can be complex and many patients take a long time to recover from it. At Your Health Hub, there is no ‘one size fits all’ treatment. Our holistic approach provides a treatment plan specifically tailored to the needs of the individual. 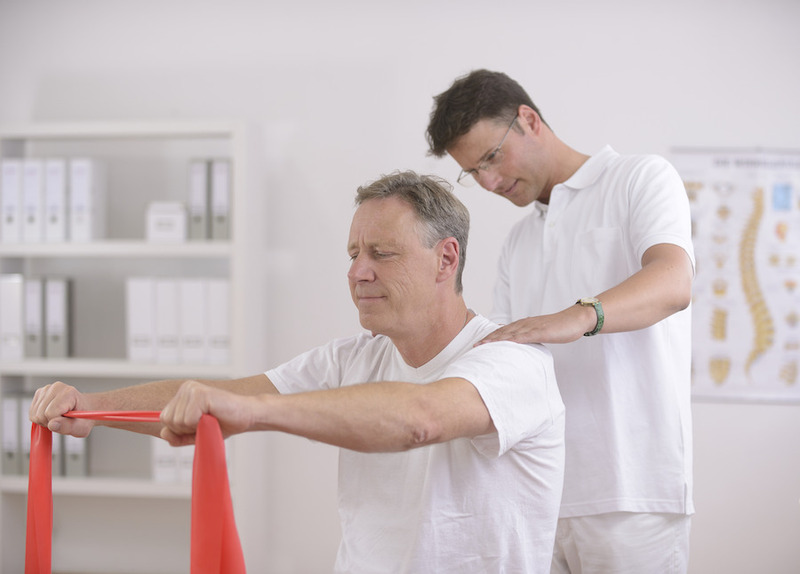 An Osteopath or Physiotherapist will work with each patient to understand the cause of the problem. In some cases, it may be necessary to refer a patient for further tests, X-Rays or scans or to another Healthcare Practitioner for further treatment. At Your Health Hub, the treatment prescribed will depend on the diagnosis, and the patient’s age and general level of fitness. Use a variety of massage, mobilisation and stretching techniques to improve the range of movement and reduce muscle tension. Advise Acupuncture to treat the source of muscle and joint pain. Suggest specific exercises to strengthen the shoulder and to improve posture, and changes to workplace ergonomics. It is so important for patients to take prompt action and get a diagnosis of their shoulder pain problem. By understanding the cause, we can begin appropriate treatment right away and help to speed recovery.